Playworks, an Oakland-based nonprofit, brings the transformative power of play to kids on playgrounds and in classrooms across the country. When Jill Vialet was growing up in Washington, D.C., she spent hours at her local playground every day after school. It was there that a man named Clarence, who worked for the city, made sure Jill got to play. "He got me in the game," she remembered. Now the founder and CEO of Playworks, a nonprofit focused on transforming children’s lives through the power of play, Jill credits Clarence as an inspiration. She wants every kid to have a Clarence, someone who understands the importance of play in a kid’s life. "We were built to play," Jill says. "It's the missing piece of social and emotional development we need to become engaged citizens." Studies have found that groups of kids who play frequently have a greater sense of trust and are better at self-regulation and conflict resolution. They also tend to be healthier kids, both physically and emotionally. Playworks creates a place for every kid on the playground to feel included, be active, and build valuable social and emotional skills. Playworks coaches and trainers help to promote inclusion, respect, and leadership on playgrounds across the country. Coaches lead play activities on the playground, but also go into classrooms and work on lessons that that focus on skills like conflict resolution and collaboration, then introduce games that practice these skills on the playground. Can’t agree on whose turn it is on the monkey bars? A quick game of Rock Paper Scissors can solve the dispute—and kids can keep on playing. Teachers love Playworks because their students come back from recess feeling more cooperative and ready to learn. 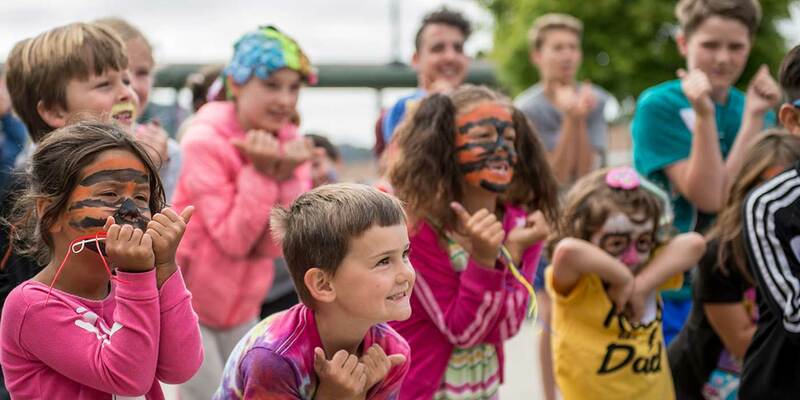 The culture of play the organization cultivates offers kids a real sense of belonging that spreads from the playground to the classroom to the community. 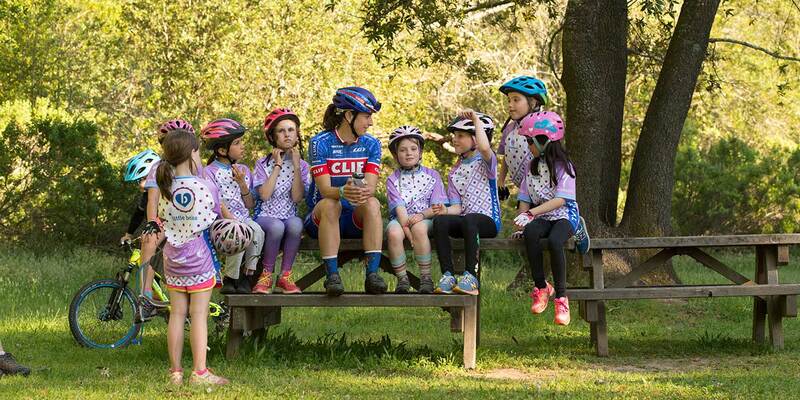 As big believers in the power of play, we at CLIF Kid are excited to partner with Playworks to bring safe and healthy play to more kids across the country. 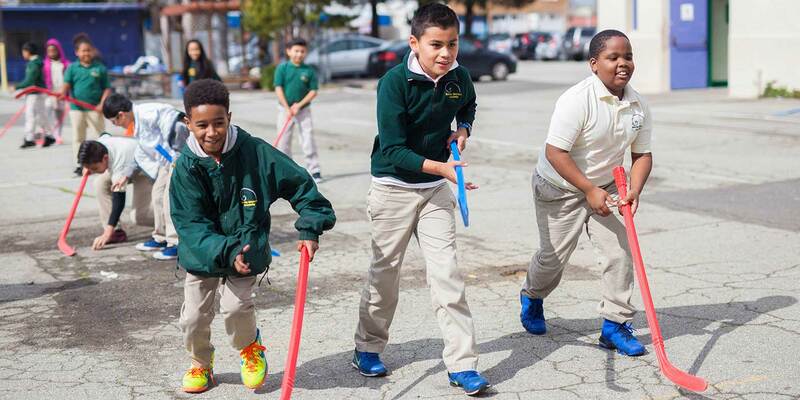 Today, Playworks reaches more than 900,000 students in 1,800 schools and 23 cities. By 2020, they hope to up that number to 3.5 million students in 7,000 schools. "Our ultimate goal is that one day every child in America will get to play—every day," says Vialet. Back at their home offices in Oakland, CA, Playworks employees practice what they preach. There’s a foursquare court in the office, and employees often have "recess," complete with games like kickball—an all-time favorite—and energize with healthy snacks like fresh fruit, veggies and CLIF Kid Zbars. When they return to the office, they're ready to work, just as students are ready for class after a much-needed break from sitting at their desks. Now that this organization has two decades under its belt, many Playworks students have grown up and are giving back. Some have become coaches, while others have joined the alumni network and not only support Playworks, but also continue to model the behavior they learned so many years ago. They credit the lessons learned through play with empowering them to interact with confidence, compassion, and self-awareness, and inspire others to do the same. Ramstetter CL, Murray R, Garner AS. The crucial role of recess in schools. The Journal of school health. 2010;80(11):517-526. http://www.ncbi.nlm.nih.gov/pubmed/21039550. doi: 10.1111/j.1746-1561.2010.00537.x. Erwin HE, Ickes M, Ahn S, Fedewa A. Impact of recess interventions on children's physical Activity—A meta-analysis. American Journal of Health Promotion. 2014;28(3):159-167. http://journals.sagepub.com/doi/full/10.4278/ajhp.120926-LIT-470. doi: 10.4278/ajhp.120926-LIT-470. Ridgers ND, Salmon J, Parrish A, Stanley RM, Okely AD. Physical activity during school recess: A systematic review. American journal of preventive medicine. 2012;43(3):320. http://www.ncbi.nlm.nih.gov/pubmed/22898126.